January 31, 1968 Dear Mr. Beall: In response to your letter asking for an autograph of Nile's, I am sending part of a page from his Flight Training Log which has his signature. It is for the month of February, 1943 and I believe his squadron was at Norfolk then. You perhaps knew that he was a Navy Reserve fighter pilot. Should you have an occasion to write again I would be glad to see a snap shot of your three sons. We had three boys in our family too. 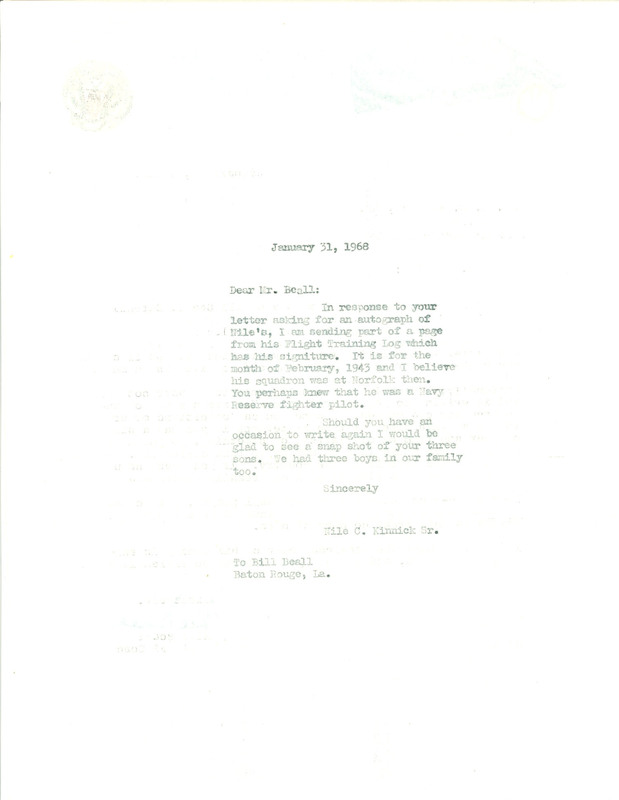 Sincerely Nile C. Kinnick Sr. To Bill Beall Baton Rouge, La.